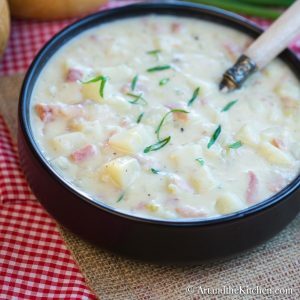 Ham and Potato Soup is comfort food at its finest! 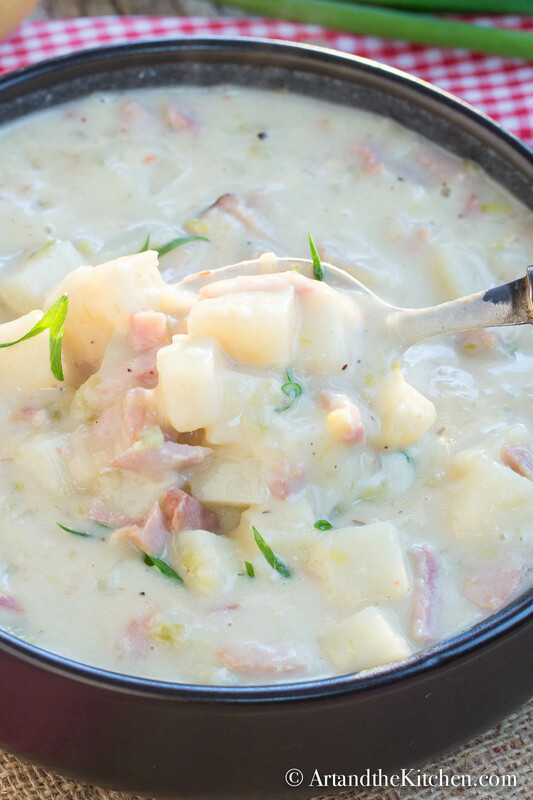 This recipe is easy to prepare, hearty and delicious! 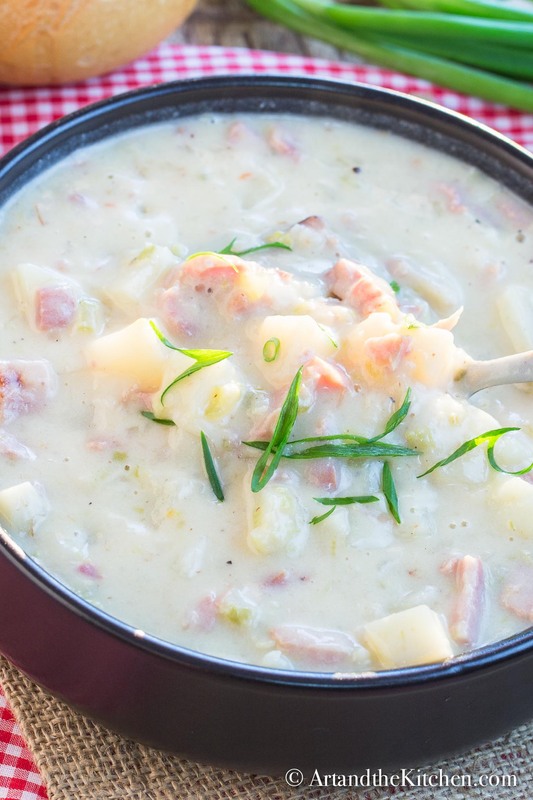 I love a comforting, hearty bowl of soup and this Ham and Potato Soup recipe is so good. 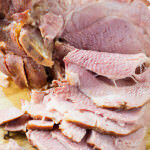 Its the perfect recipe for using up leftover ham. 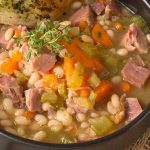 In fact you will want to make an extra large ham, just to have leftovers to make this soup or you may want to try my recipe for Ham and Bean Soup. 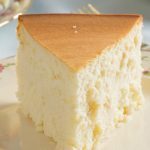 My recipe has a rich and creamy texture without the use of cream. 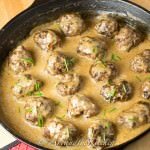 It is perfectly seasoned with leeks, onion, celery and a bit of garlic. Want to add even more sensational flavour start with your own homemade chicken broth. Check out my recipe for making Homemade Chicken Stock. If using store bought, taste test before adding any salt as I have found varying degrees of saltiness between brands. When making Ham and Potato Soup be sure you don’t boil the soup, it should just simmer until the potatoes are tender. In large dutch oven heat 1 tbsp olive oil, 1 tbsp butter. Add onion, leek and celery, garlic sauté until soft. Add ham, cook until ham is heated. Melt in additional tbsp. of butter, then sprinkle flour over ham/onion mixture, sautéing until combined, 1-2 minutes. Stir in chicken stock, milk and potatoes. Add bay leaf and pepper. Continue to simmer, until potatoes are tender about 30-40 minutes. Do not allow to boil. 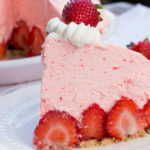 Want more of my awesome recipes follow me on Pinterest, Instagram, Facebook and Twitter! 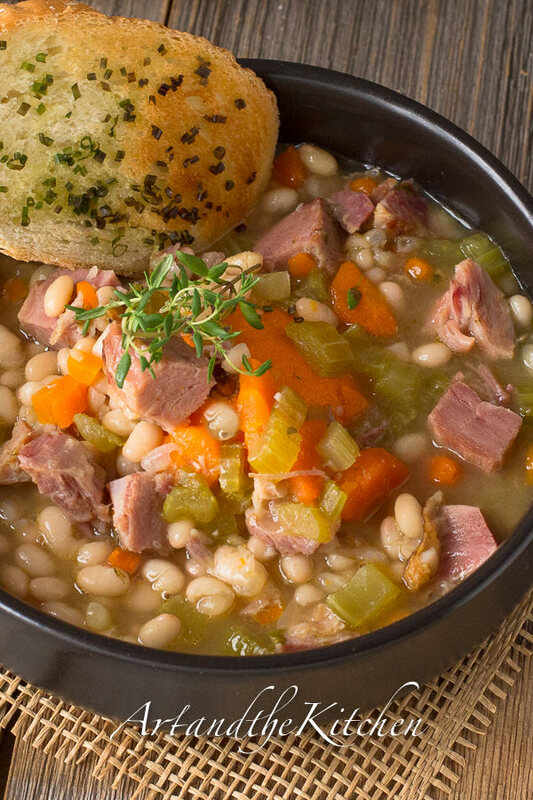 If you love homemade soup as much as I do be sure to try this other terrific Soup Recipes. 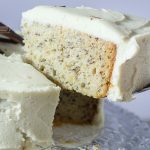 Follow me and get my latest recipes on Pinterest, Instagram Facebook and Twitter.